The decor and atmosphere are great, small and cozy, exuding an exclusive and exquisite feel, very romantic, but the food isn’t very good although perhaps I should add that I was quite stuffed having had a late lunch and this was an early dinner. I think I can cook better pasta. The place promotes itself as fine dining–those very high class places, you know, big dish, little food–but it really isn’t very expensive; especially after the 1-for-1 promotion, it’s like the price of a Carls Jr burger. I think my sister is smitten by the charming and friendly Italian chef and his accent. Friend ordered gnocchi with cheese. 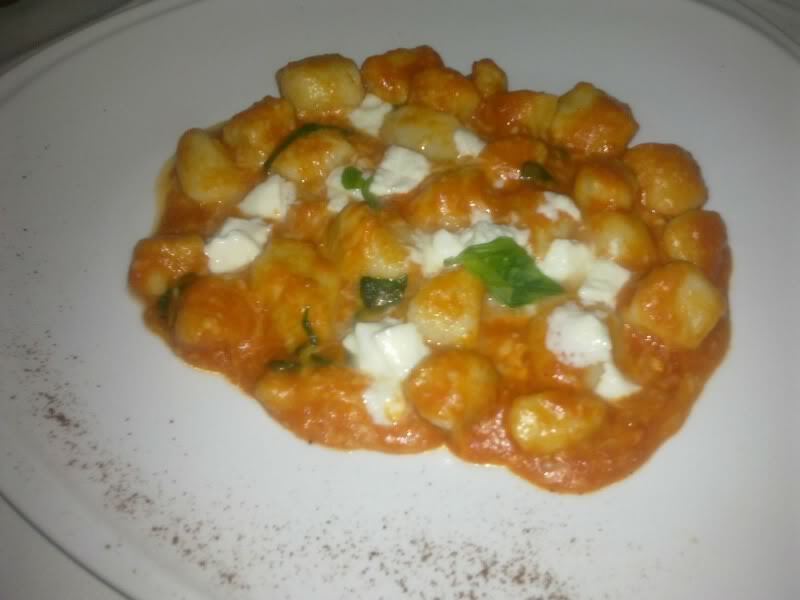 This must have been the nth time I was corrected by a waiter on how to pronounce “gnocchi.” The thing is when a waiter corrects me, I am always in a sociable environment so my mind switches off, doesn’t want to learn. The pronunciation is either “knoc-kee” (as in knockey knock knock) or “knee-y’all-kee,” depending on who you ask. It’s Italian dumpling of potato or wheat. I have never liked it much maybe because I don’t like potato unless it is deep-fried (fries and chips). I suppose it’s an acquired taste like cous cous or durian. 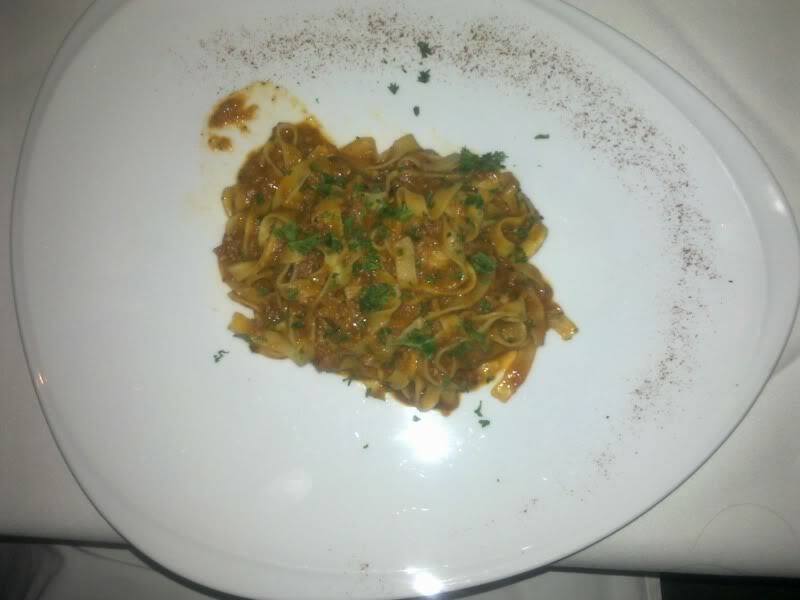 I ordered the octopus pasta which tasted fishy. I also ordered an Italian beer which tasted like water.